Rational Rhapsody Architect for Systems Engineers is an integrated, systems engineering environment for analyzing project requirements. It uses Systems Modeling Language (SysML) and Unified Modeling Language (UML) to enable rapid requirements analysis and visual, model-based design. Rational Rhapsody Architect for Systems Engineers helps your systems engineering teams design complex functionality in less time. 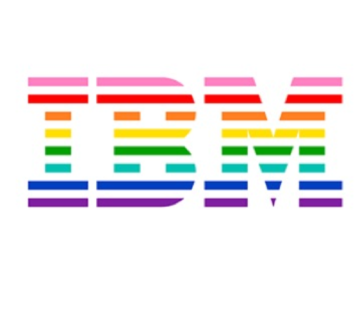 Work for IBM Rational Rhapsody Architect for Systems Engineers? Learning about Architect for Systems Engineers? Rhapsody provides an elaborate GUI for Systems modelling. 2.Simulink Integration : We can import a simulink model in rhapsody and generate the code from it. 3.Rhapsody Eclipse Integration : Probably the best feature of Rhapsody is that it can be used inside eclipse as a perspective. We can Know the code behind every Model element. I use it in Architecture design of Automotive embedded systems and products. I find it easy to use and modular as it is OO based. "Best Tool for Executable Model Based Engineering"
I like the executable modelling capability the best. This capability is unparalleled by other modelling tools. It is very expensive, and kind of clunky. It has a lot of functionality, but is complex to use. Sometimes it is hard to find the capability you're looking for. You can't go wrong with Rhapsody if you can afford the best. It provides robust capability, executable modelling capability, support, and a variety of languages. Model based engineering is the way of the future and Rhapsody is the best tool to provide help with this. Model Based Systems Engineering. We are able to build executable models of our system, and embed real code to get a running model rather than a model with just static diagrams. It is organized in a way that no matter how many updates it still feels the same and familiar. Things work, and their product team is ready to assist if there are any issues. However there is still features that it lacks and or is hard to find. It doesn't take too much time to get started but it takes a lot of time to really get used to it. "Makes System development a complete process." Not only does the tool suite provide all things needed for the SysML architecture definition, it provides a compatibility (well, yes, IBM tools such as RTC, DNG) which makes development a more structured approach. Additionally this allows interfacing as an MBD tool ahead too. Help needs work on. Starting out and being new to SysML/UML, the tool might not be the best tutorial. Development of ADAS systems on tool. This has provided a structure to a new project which can be reused in other projects. "IBM Rational Rhapsody Architect for Systems Engineers"
Not a user friendly software for entry level engineers. Developing architecture for functional/technical ADAS system. 2. Adaption of SysML brings great amount of readiness for usability purpose. Everything flows well when trying to put things together. The connections you can make when analyzing systems if clear. It feels outdated for what is needed from it. It is like and html style that could be improved. It takes some time to learn how it works but it is possible. "Good for MBE, but is very dated"
The ability to drag IER type objects (i.e. messages) from the hierarchy view onto a sequence diagram; requirements diagrams for legacy teams are also very useful. Additionally, importing information from external files is fairly straightforward. The product is extremely dated; Rational Rhapsody Designer is much a better IBM product for modelling. Look at Rational Rhapsody Designer first. Transitioning older teams to using MBE w/Rational Rhapsody products. Once teams are synchronized, keeping models updated and having everyone on the same page makes the SE process much smoother. I like the fact that you can put action language behind activities to auto generate sequence diagrams. Tool offers ability to create an executable model. Tool is able to generate XMI but the XMI does translate well with other tools. Rhaosody is more expensive than other UML/SysML tools like Sparx EA and NoMagic MagicDraw so make sure to evaluate your needs to see if the higher price tag makes sense. We used it to create sysml models including activity and sequence diagrams plus DoDAF diagrams for an Information Support Plan. "Quick to realize as when you design"
Quick realisation of requirment into a executable driven requirment. I was able to realize requirements from a paper based technology to a executable driven requirment which helped my team understand in better way along with executable sequence diagram and state diagram. "Rhapsody - a good tool"
Good tool, easy to use and debug. Adding modules to existing design is easy. The tool is good to use and debug. When the build fails, finding out links is a bit tricky. Auto generating code for UML designs is very fast and beneficial. "IBM Rhapsody - Dynamic Modeling and Simulation"
Learning about IBM Rational Rhapsody Architect for Systems Engineers? * We monitor all IBM Rational Rhapsody Architect for Systems Engineers reviews to prevent fraudulent reviews and keep review quality high. We do not post reviews by company employees or direct competitors. Validated reviews require the user to submit a screenshot of the product containing their user ID, in order to verify a user is an actual user of the product. Hi there! Are you looking to implement a solution like Architect for Systems Engineers?